I find it interesting Egyptian king Senusret III invaded Palestine and entered the city of Shechem after Jacob left Shechem for Bethel. Genesis 36:5-6 God had terrorized the cities around Shechem so Jacob with his family could escape to Bethel. Senusret III invaded and annexed Canaan cause God had weakened the Canaanites. When Senusret III annexed Canaan, the Canaanite/Amorite/Hyksos would peacefully enter Egypt in Senusret III reign. Egyptian scribes wrote the Hyksos/Canaanite warriors came into Egypt and ruined Egyptian temples, while our Bible states the pharaoh (Senusret III)acquired all the land of Egypt, except for the priest land-the Egyptian temples were safe. Genesis 47:22 Joseph traded Hyksos bread for horses. Genesis 47:13-17. Senusret III had horses for a horse skeleton was found at Buhen,Nubia (Sudan) dated to Senusret III's reign. Joseph lived 1741-1631 B.C. and Senusret III actual reign was 1724-1685 B.C. Date is lowered cause the 7-10 and part of the 11th Egyptian dynasties are phony according to the Sakkara kings list-so Senusret III's reign matches Biblical chronology. Abraham 1992-1817 B.C. Isaac 1892-1712 B.C. Jacob 1832-1685 B.C. Joseph 1741-1631 B.C. The Senusret III invasion into Palestine/Canaan should not be overlooked. It matches Joseph's family time around Shechem,Palestine/Canaan. Archaeologist William Dever has stated most archaeologists laugh when talking about Biblical history. no effort in matching artifacts with Biblical history. 9, 10 dynasties were invented at the stroke of a pen following a partial 11th dynasty. 4 dynasties plus 1/2. 3 Kings existed before Egypt's 12th dynasty. Mentuhotep II, Mentuhotep III & Mentuhotep IV. An Egyptian scribe invented 4 more Egyptian dynasties; 13,14,15,16 dynasties were invented, followed by a partial 17th dynasty where Seqenenre Tao, Kamose and Ahmose fought a civil war before Egypt once again was reunited. Joseph served as governor of Egypt in the reign of Egypt's last 3 12th dynasty kings: Senusret III, Amenemhet III & Amenemhet IV. The Palestine city of Shechem was under Egyptian control at this time in ancient history, while Joseph made the Amenemhet & Senusret kings prosper. the Egyptians covered up their civil wars by inventing the first and second intermediate periods. Who cares if Palestine history can be matched with Egyptian history. The Biblical Archaelogical Review doesn't try to link Palestine and Egyptian history together. Egyptian historians don't care either; so researching the subject is a waste of time. Egyptian king Snefru built 40 cedar ships at Byblos. Sahure married a Byblos princess. Pepi I army invaded Canaan five times. Amorites burn down Snefru's temple at Byblos in Pepi II's reign. Amenemhet I restores trade with Byblos. Senusert III invades Canaan attacking Shechem. Senusret III annexes Canaan. Thutmose I and Thutmose III armies enter Canaan on their way to fight the Syrians. Amenhotep III and Akenaton receive Tel-Amarna letters from Canaanite kings stating the Haribu/Habiru (Hebrews) have invaded Canaan. Hebrews settle along the east bank of the Jordan river in great numbers expelling the Canaanites living there. Horemheb enters northern Canaan before attacking the Hittites. Seti I enters Beth-Shean before attacking the Hittites. Ramses II wars with the Hittites. Then Ramses II gives Lebanon (northern Canaan)away as a wedding gift to the Hittites. Merneptah Stele mentions the Israelites in Canaan. Ramses III attacks the Amorites in northern Canaan; stealing $2,000,000 in gold. Shishak attacks Jerusalem in Rehoboam's 5th year. Necho II slays Jerusalem's king Josiah. Buried in the Middle-East sands are the pieces of the puzzle as we can see Biblical Canaan coming to life. Shechem was a mere village when Egyptian king Pepi I's army battled the Amorites invading Egypt's delta. Pepi I was the first Egyptian king to use Cushite troops in battle. Some 50,000 Cushites joined Pepi I troops, expelled the Amorites and invaded Canaan in five wars against the Amorites. The Cushite troops were the real force which lead Pepi I to victory. They hacked away the vegetation in Canaan. There was no place for the Amorites to hide. The Amorites did not bother Egypt until the end of Pepi II's reign. Shechem was a village in Abraham's time and Shechem was a city in Jacob's time. Canaan does have a history as explained in ancient texts. The Moabite Stone is another example which proves the Hebrews lived in Israel in ancient times. Merneptah Stele records an Israeli prescence in the land of Canaan mentioned for those people who state the Jews had no history in Canaan. Sinai copper and turqoise mines brought Egyptian kings great wealth. Sinai was just south of Palestine. Why are there practically no kings from the 13-17th Egyptian dynasties listed as having mining operations in the Sinai? Such scant information about these mines left abandoned would not make much sense. Why abandon prosperous mines? Perhaps we have lost history when fort Buhen went under water when the Egyptians built lake Nasser in the 1960's. Nubia would have provided the info the proof there were no 13-17 dynasties. Archaeologist are having a dispute about the chronology of Egyptian and Philistine pottery. Why don't they eliminate Egypt's false chronology? Why won't they close the gaps in the records? Palestine/Canaan history will be better understood once the true Egyptian history comes to life. Byblos was a popular trading center in ancient times. From the time the Egyptians built a temple in honor of Snefru at Byblos until the Amorites burned the temple down in Pepi II's reign, Byblos had an unbroken trade relationship with Egypt. Mentuhotep II-IV had no trade with Byblos. The last artifacts uncovered before the later 11th dynasty were from Pepi II's reign in the 6th dynasty. No kings listed in dynasties 7-10 and part of the 11th Egyptian dynasties had trade with Byblos which proves through the Sakkara kings list, these so-called kings did not exist. Mentuhotep II reunited Egypt. Mentuhotep III had trade with Punt and Mentuhotep IV was a usurper. The next king Amenemhet I Egypt's 12th dynasty had trade with Byblos. All the Amenemhet/Senusret kings had trade with Byblos. The kings of the 13-17th dynasties had no trade with Byblos, Palestine. Abydos Egyptian kings list shows the 13-17th dynasties did not exist. Trade once again flourished between Byblos and Egypt in Egypt's 18th dynasties. Why won't Egyptian historians state these truths? Why do they embrace Egyptian history written some 2300 years ago when the Egyptian historian priest Manetho wrote a history to please the Greeks and mixed mythology with facts giving us a garbled history of ancient world events? The truth about real Egyptian history could have been found at Buhen, Nubia before Egypt created lake Nasser. Now that evidence is on the bottom of the Nile river. their dynasties away and the Bible and Egyptian history void of inflated dynasties will match up perfectly. Amenemhet III reign 45 years and Amenemhet IV's reign 9 years. 39 + 45 + 9 = 93 years. Joseph entered Egypt age 17, and Joseph lived in Egypt some 93 years. Joseph entered Egypt the 1st year of Senusret III's reign, and Amenemhet IV died a few months after Joseph died. The 12th dynasty was most prosperous when Joseph lived in Egypt. for God made the land prosperous while Joseph lived. Senusret III had annexed Canaan. Amenemhet III and Amenemhet IV controlled Canaan before Ahmose family started a revolution in Egypt. Amenemhet I upsurped Thebean Mentuhotep IV's power, and the Amenemhet/Senusret dynasty began. Two hundred years later the Thebeans sought power. Its most likely Thebean Ahmose brought down Amenemhet IV's government. Ahmose drove the Hyksos/Canaanites out of Egypt. These Canaanites had lived in Egypt during Senusret III's reign. Ahmose then warred with the Hyksos at Shuruhen,Canaan/Palestine before winning the final victory over them. Modern historians believing the Bible is mythology fail to research the truth. Over and over they follow old Egyptian chronology charts provided by pagan historian priest Manetho, who inflated Egyptian dates so he could brag Egypt was the oldest world civilization. Yet we know all old civilizations began after mankind left the Tower of Babel. Egypt has a much shorter history than previously mentioned by Egyptian historians, whom want to mock our Bible. There are a number of Egyptian dynasties which never existed, and a few existed as contemporary with separate rulers for both Upper and Lower Egypt. World chronology follows Egyptian chronology, so when Egyptian chronology is lowered, Sumer chronology is lowered, and we find history becomes closer to the Biblical Tower of Babel date. with Sodom. 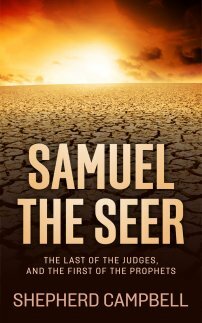 Egyptian king Senusert III would take over the city of Shechem when he annexed Canaan. Sodom and Shechem are two biblical cities which confirm real Egyptian history. This proves the 7-10, and part of the 11th, Egyptian dynasties have no history; for they are just a mere list of names with no history. Sakkara kings list is proven here, as Sodom & Shechem both biblical cities match real Egyptian history. correct Egyptian chronology, which matches Palestine history. The Bible is a historically accurate book. God is not to be mocked. Egyptian history does not go back some 5,000 years; Egyptian history goes back to the Tower of Babel. It is interesting to discover Egyptian king Senusret III had a connection with Shechem; and Joseph's family had a connection with Shechem. Senusret III had confiscated all the nomarch's lands, and the Bible confirms this when Joseph buys all the land for the pharaoh except the land belonging to the Egyptian priesthood. SEE Genesis 47:20-22. God says in Genesis 35:5 he terrorized the cities around Shechem so Jacob could flee to Bethel. Genesis 47:13-17 - Joseph controlled the economies of both Canaan and Egypt. Senusret III is noted for having annexed Canaan; Senusret III is the only pharaoh mentioned to have attacked Shechem and the surrounding cities. Senusret III's son Amenemhet III completed Bahr Yousef (Joseph's canal)which helped increase Egyptian food production in the years following Genesis 41:57, the Great Famine. The history matches Stanley 7. Are you a wolf in sheep's clothing? We have history which matches our Bible and you do nothing but complain.